The newest Carnival cruise ship has officially been named in New York. 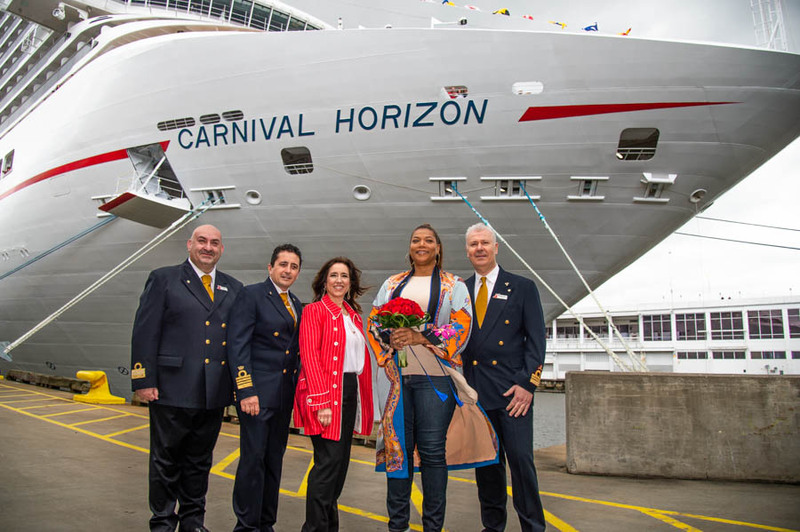 This is now the final major milestone for Carnival Horizon as she begins cruising from the U.S. 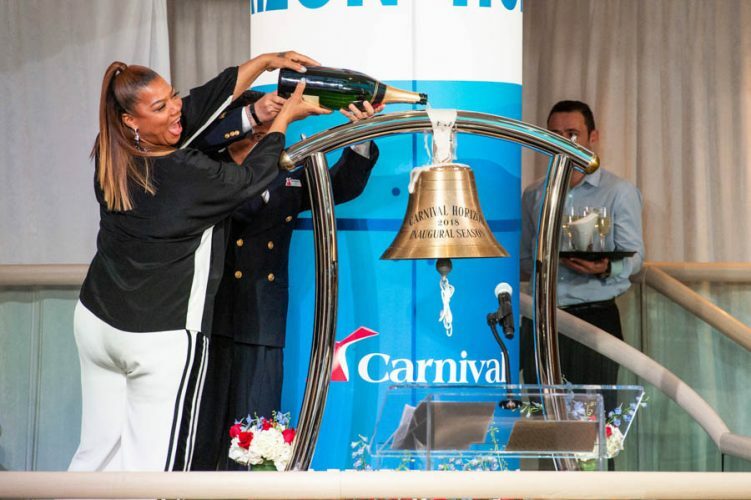 The naming ceremony for Carnival Horizon was held on Wednesday in New York and godmother Queen Latifah took center stage as she christened Carnival’s newest cruise ship. The ceremony which was held onboard for invited guests only also showcased a Lip Sync Battle between the godmother and Philadelphia Eagles Super Bowl champion Jake Elliott along with talented young artists from St. Jude Children’s Research Hospital. “We were also delighted to showcase the wonderfully talented children from St. Jude whose artwork on the Dreamscape will be forever associated with this spectacular ship,” she added. Latifah rocked the house with her incredible interpretation of the Weather Girls classic “It’s Raining Men,” while Elliott had a chance to live out his rock star fantasies performing Whitesnake’s arena anthem “Here I Go Again,” all performed with back-up dancers from Carnival Horizon’s Playlist Productions to a packed house in the Liquid Lounge. But the big winner was St. Jude Children’s Research Hospital which received a $100,000 donation from Carnival representing monies raised from various fundraisers, both onboard and ashore. The funds continue the line’s ongoing support of St. Jude with more than $16 million raised in the fight against childhood cancer since the partnership began in 2010.